Congo has increaseed the presence of security personnels in respect to the release of their elections result. They had Anti-riot police with water cannon and armored vehicles surround electoral commission on Wednesday ahead of the delayed announcement of the results of the presidential election. It “may be a message that the publication (of the results) won’t meet the expectations of the Congolese people,” resident John Kabamba said. The first results could be announced as early as Wednesday. Police installed metal barriers and blocked traffic outside the electoral commission as it continued meetings that began late Tuesday to discuss the results compiled so far. The preliminary results of the Dec. 30 vote had been expected on Sunday, but the commission indefinitely delayed the announcement, to the frustration and growing suspicion of many Congolese. Some said the delay is allowing manipulation in favor of the ruling party. 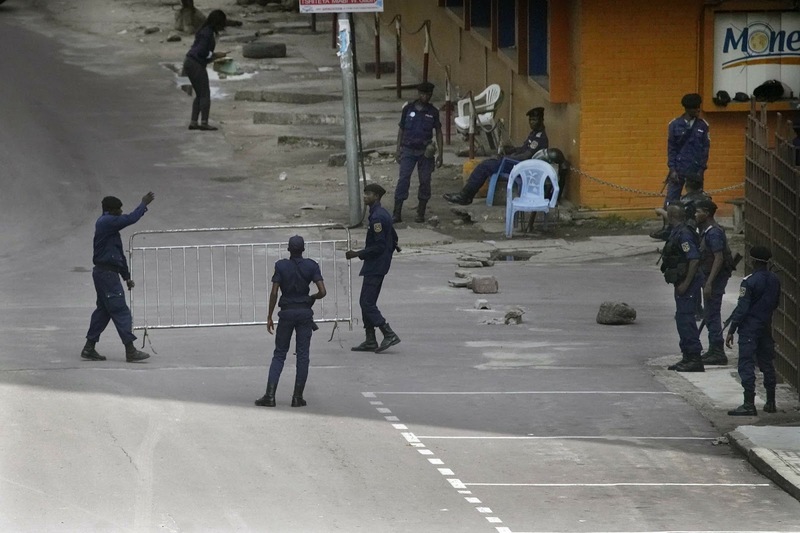 “Seeing all these barriers, it proves that (the commission) doesn’t need or doesn’t want to give us the name of the person who was elected,” said Kinshasa resident Beni Babutu. The vast, mineral-rich Central African country is choosing a successor to departing President Joseph Kabila, in power since 2001. He backs ruling party candidate Emmanuel Ramazani Shadary, who is under European Union sanctions for a crackdown on Congolese protesting two years of election delays while he was interior minister. He said the delay is to “fudge the results” and warned that his coalition would release its own figures if the official ones are in doubt. The Spokesmen for both Shadary and the other top opposition candidate, Felix Tshisekedi, have indicated that their candidates won. Kabila adviser Kikaya Bin Karubi, however, denied any such contact. The government has cut internet service since the day after the election to prevent speculation on social media about who won, and blocked some radio stations. The United States, African Union, European Union and others have urged Congo’s government to make sure the election results conform to the will of the people. Western pressure likely has little effect, however, as Congo’s government has rejected what it calls interference and expelled the EU ambassador days before the vote. Western election observers were not invited. Many have seen this election as Congo’s first chance at a democratic, peaceful transfer of power since independence in 1960. But one Congolese election observer group, Symocel, on Tuesday reported “major irregularities” including the disappearance of envelopes containing results from nearly 120 polling stations in Kinshasa, an opposition stronghold. Congo’s powerful Catholic Church has said it found a clear winner from data compiled by its 40,000 observers deployed to all polling stations. Voting regulations prohibit anyone but the electoral commission from announcing results. The church has urged the commission to announce accurate ones. He blamed the delay on opposition parties’ insistence that results be counted by hand and not transmitted electronically via voting machines, which Congo used for the first time. The machines were the focus of much concern, with the opposition and observers saying they could open the door to manipulating results.